If you are looking for a funny and heartwarming family movie this summer, you are in the right place. 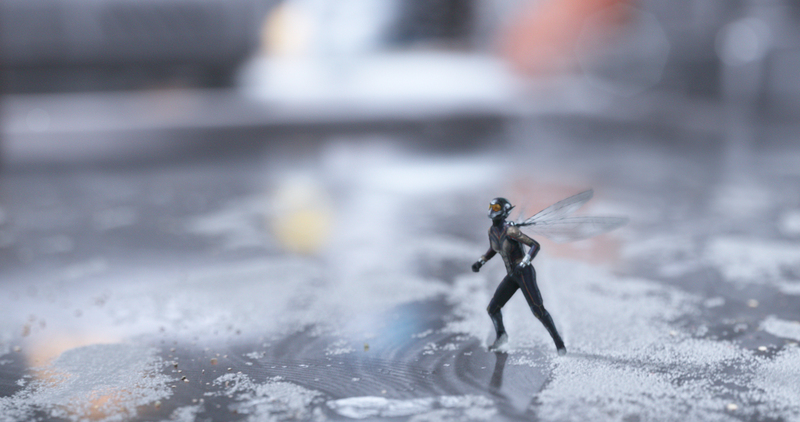 Featured today on Theresa’s Reviews, you can check out my Ant-Man and the Wasp movie review! Last night, I was excited to see the movie ahead of its theatrical release at a local screening. Even without having seen the first Ant-Man movie or Captain America: Civil War, I enjoyed watching this sequel. 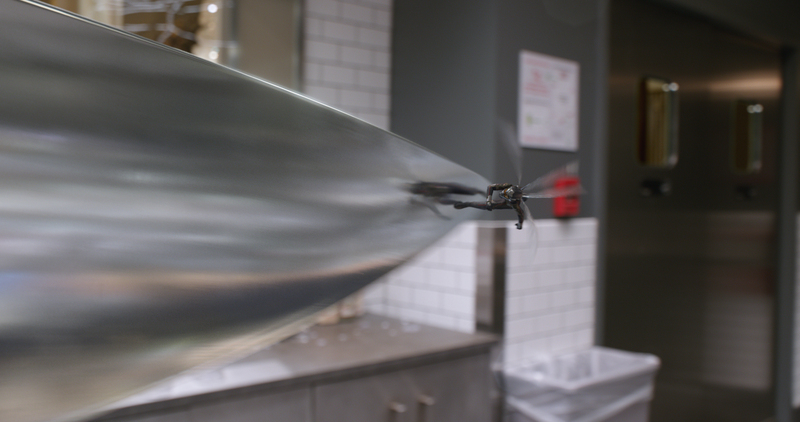 One nice thing about Ant-Man and the Wasp was that the plot was simple to follow. This light-hearted movie was the perfect way to relax after a busy summer’s day. Since I had heard the movie was kid friendly, I brought my eight year old daughter, who thought the movie good. We had a busy morning before going to the movies. With a live television appearance and one recorded for the morning of July 4th, we were ready to enjoy this delightful combination of family-friendly comedy and action. 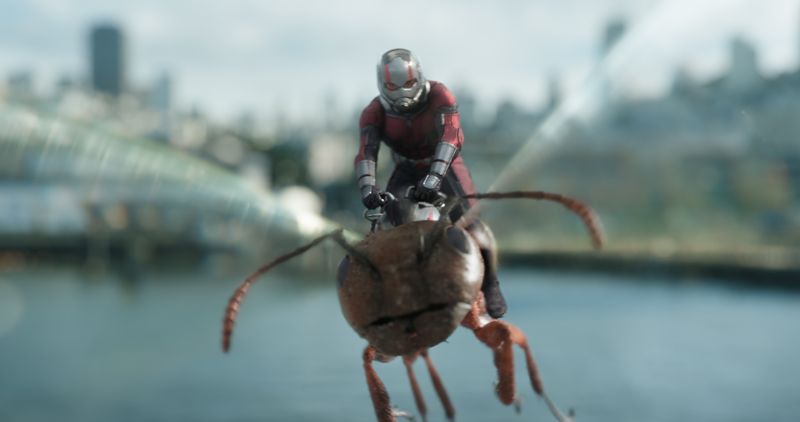 Even without knowing the plot of the first Ant-Man movie, the sequel is easy to understand. 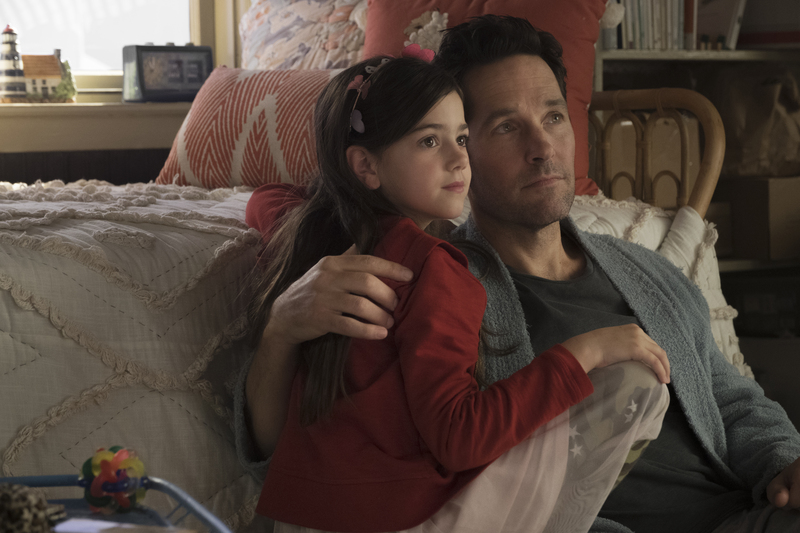 Scott Lang (played by Paul Rudd) is dealing with the consequences of his life as a superhero and as a father. Since he has made some unfortunate choices, he is confined to his house, where he tries to entertain his daughter in any way possible. My only criticism is that Scott Lang plays a character who is not very smart (he does not understand physics or algorithms), and I would have liked to have seen the writers give his character more depth. 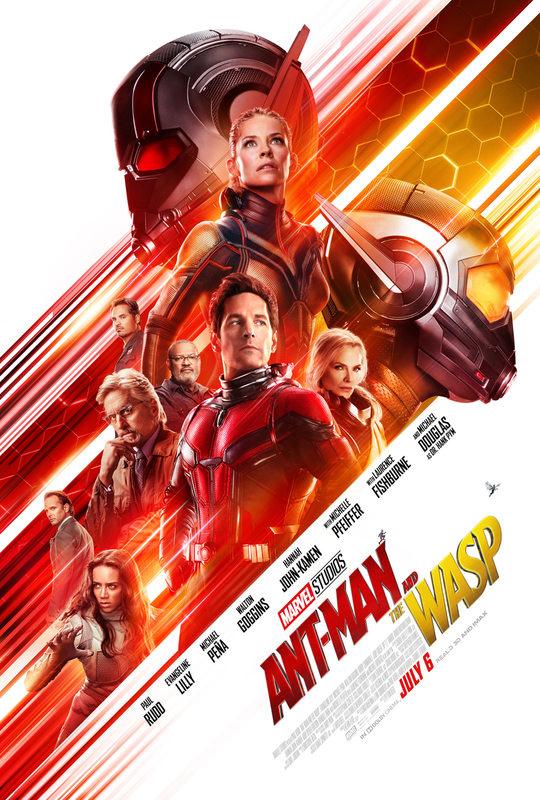 With an exciting turn of events, Hope van Dyne (Evangeline Lilly) and her father Dr. Hank Pym (Michael Peña) unexpectedly take Scott on an adventure with an urgent new mission. With stunning visuals, the movie shows the superheroes using quantum physics to shrink, grow larger than life, and one villain with an extraordinary power no one has seen before. While battling evil, the superheroes must solve the problem of Hope’s missing mother who is lost in another realm, but time is pressing. With a heartwarming focus on the love that a family has for one another, the movie was an excellent pick for a family movie night this summer. I was happy that I had brought my daughter, and was not uncomfortable with the content of the movie for her. My daughter had several favorite parts. She thought the daughter (child actress Abby Ryder Fortson) had a funny role. She enjoyed watching the superheroes, and she thought the movie was exciting and adventurous. Regarding the PG-13 rating, you can see some violence during the action scene, but nothing overwhelmingly scary. You can also hear some bad language, but not too often. Two characters are kissing at one point but have their full outfits on, so it is not too risqué. During the movie, the whole audience in the movie theater was laughing about the comedic situations. I thought the movie was funny in all the right places. 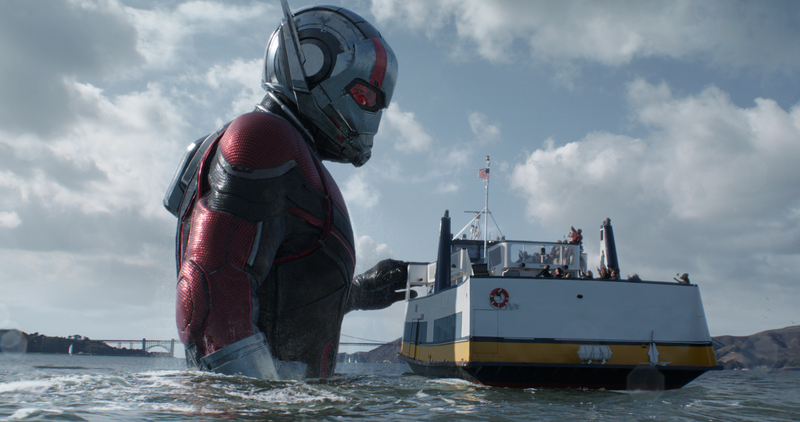 With the mixture of comedy and heartwarming family adventures, Ant-Man and the Wasp is well worth watching. Make sure to check it out when it opens in theaters everywhere on July 6, 2018. For more movie reviews, follow Theresa’s Reviews on Facebook, Twitter, Instagram, Pinterest, and YouTube. 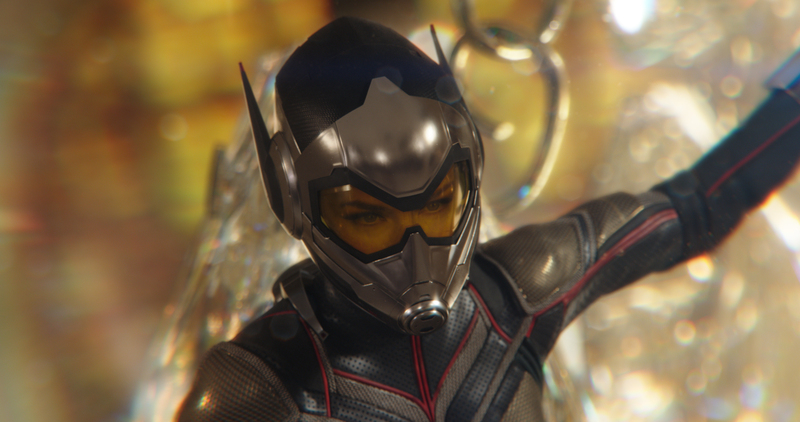 If you watch Ant-Man and the Wasp, make sure to leave me a comment below telling me what you think. I’m excited to see this. 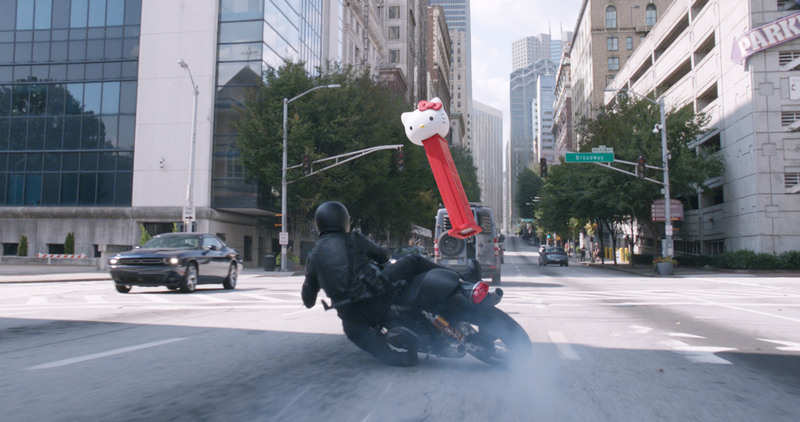 The more recent hero movies tend to have a healthy helping of comedy. I can always use a good laugh. I need to see this, it’s the last marvel movie I need to see.